H+K's global reorganization is in place - the challenge now will be to get the pieces working together to build positive momentum. The news that Andy Weitz is stepping down as US president and CEO of Hill+Knowlton Strategies represents another leadership upheaval at the WPP firm after three years of transition. His impending departure follows former US president and CEO Dan Bartlett’s decision last June to leave the agency for the top comms job at retail behemoth Walmart – a role some might say was an offer he couldn’t refuse. Bartlett had assumed his H+K role in 2011 when Public Strategies merged with Hill & Knowlton. Bartlett and Public Strategies founder and chairman Jack Martin took the top jobs at H&K, with former global chairman and CEO Paul Taaffe departing. A subsequent legal battle with Weber Shandwick, which involved a restraining order on then H+K COO Ken Luce and EVP Jody Venturoni, were unwanted distractions in the early stages of the new setup. When I interviewed Weitz almost exactly 12 months ago [see video below], he was naturally brimming with optimism about the future and the opportunities ahead, "feeling really good about the momentum" at H+K after a "good first half" and "feeling good about the second half." The talk was of momentum, change, a strong positioning, and a good sense of where they were trying to get to. He noted that the two Martins, Jack and WPP CEO Sorrell, had high expectations and that there is always room to do better. He was most excited by the talent at the firm, but did concede that the agency had to "do a better job of packaging up the H+K offer" to demonstrate the agency was not just one with a great heritage, but also one that was "very relevant to today." But now Weitz is leaving H+K after six years to spend more time with his young family. He wouldn’t be the first agency CEO to become disillusioned with the remorseless 24/7 demands of the role and its incompatibility with an acceptable work-life balance. And it is certainly true that the client responsibilities, crisis communications, new-business pitches, and day-to-day nuts and bolts of running a large-scale PR agency business involve senior execs in this industry traveling extensively and working nights, weekends and holidays as part of the table stakes of the role. Thirty-year H+K veteran Mike Coates is moving to New York from his role as CEO of the firm’s Canada operations, a bright spot for the agency last year. He will become president and CEO of the Americas region, overseeing the US, Canada, and Latin America. In PRWeek’s Agency Business Report in May, it was noted that H+K had faced challenges in APAC and flip flopped on its decision to separate out its China operations from the rest of the region. When I spoke to H+K CEO Jack Martin, he said he is still confident about where the agency is heading, and he sees the latest reorganization as the culmination of a process that has already seen the EMEA and APAC regions realigned under the respective leaderships of Lars Erik Grønntun and Vivian Lines. Coates will decide whether H+K appoints a new US CEO and president, but Martin says that person, should they be appointed, could be located anywhere in the US. "Geography doesn’t matter if you get the right person," he adds. New York has been a problem area for H+K and, despite the globalization of the PR industry, the Big Apple is still a key PR market. "We have a good revenue engine in New York and it has improved – but it’s not yet where I’d like it to be," says Martin. Ian Bailey, EVP and GM of H+K’s New York office is also leaving the firm, at the end of August, to relocate elsewhere in the US with his family. In March, Jeff Eller, EVP and co-chair of H+K’s global crisis practice, left to advise General Motors over its recall problems. On the West Coast, EVP and US tech practice director Hadley Wilkins left H+K at the start of this month. Paul Turner, EVP and GM of the firm’s 30-strong San Francisco office – and account lead on Qualcomm – joined Wells Fargo’s consumer lending comms team in March as an SVP. Mylene Mangalindan, SVP of media relations for H+K’s corporate and technology practices based in San Francisco, is also leaving the agency. 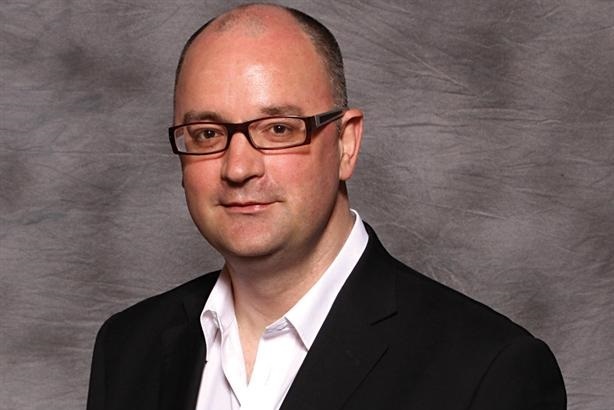 EVP of global strategy Devon Spurgeon moved from H+K to an EVP role at MDC Partners in May. These upheavals come after a period during which Hill+Knowlton lost three high-profile tech clients: Salesforce, Qualcomm, and CA Technologies. Martin concedes that he "wishes we hadn’t lost them and hopes we don’t repeat that." On the incoming front, Claire Koeneman has moved to New York to bolster that office. She was EVP and US head of financial communications, as well as GM of H+K’s Chicago office. And, in May, Lisa Cradit came on as SVP and head of H+K’s corporate advisory practice in New York. Cradit was most recently director of comms and PR at private equity firm First Reserve, a post she left last October according to her LinkedIn profile. Former Waggener Edstrom SVP Annemiek Hamelinck, who had a short spell as EVP and GM for San Francisco at InkHouse, has just joined H+K on the West Coast. The agency has also won some new business, including AOR assignments for the Miami Beach Visitors and Convention Authority and Health Care Services Corporation. It added US work to its global Dolby account and signed up an early stage startup in San Francisco called Nanosatisfi. It is also working with the Government of Puerto Rico on media, event and influencer-related activity for the Department of Economic Development and Commerce to drive investment into the country. And it is working with Chick-fil-A on research and media strategy to support the brand’s antibiotic-free chicken initiative, plus media and public affairs support. Also on the plus side, H+K’s Blanc & Otus subsidiary is benefiting by having a boutique offering that is backed by a large global firm when it needs to tap into it. This is sometimes more attractive, especially to the West Coast PR community, than a large agency that wheels out a boutique arm when it is needed. The two arms are partnering much more, for example on a client such as Covisint, where the H+K financial services team ran communications around its IPO in September 2013. Martin has always preferred to promote from within rather than go outside the company for fresh talent. He maintains he still has a deep bench and that there are "more than a few people already within the agency that could take over" from him if and when that time comes. This year’s PRWeek Agency Business Report showed that only three of the top dozen firms achieved organic growth in 2013 in terms of revenue. All agencies are reshaping their offer to prioritize integrated services in which digital and social media and content are integral parts. Like many large PR agencies, Hill+Knowlton is not alone in going through some tough years of transition in terms of staff turnover, structural reconfiguration, and client churn that are far from ideal. The acid test for the newly configured leadership in the US, EMEA, and Asia will be whether it can build on the green shoots of optimism among the upheaval to build positive momentum, drive the agency forward, and restore former glories in a renewed context.